Daniel Ricciardo wants to put the disappointment of last season’s Monaco Grand Prix behind him, and aims to go one step further this year by winning the race. 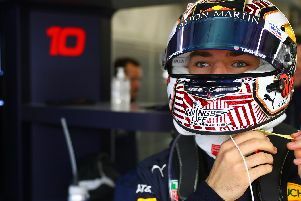 After landing his first pole position at Monaco in 2016, the Red Bull Racing star was in great shape to win on the streets of Monte Carlo before he stopped for new tyres - only for the tyres not to be ready in time. Ricciardo’s long stop allowed Lewis Hamilton to take the lead, and despite pressure from the Australian, the notoriously tight street circuit meant he couldn’t get past and had to settle for second place. Heading into the race this year, Red Bull are clearly third best behind the Mercedes and Ferrari, but Monaco is a leveller and Ricciardo believes he is in with a shot at earning the victory he feels he lost last season. “Last year was disappointing for me as I felt we definitely had the win on the cards,” he said.